PHOENIX, ARIZ. – A 3,241-square-foot suite at The Presidio medical office plaza, 1100 S. Dobson Rd. has been sold to an investor for $1,062,854.00. 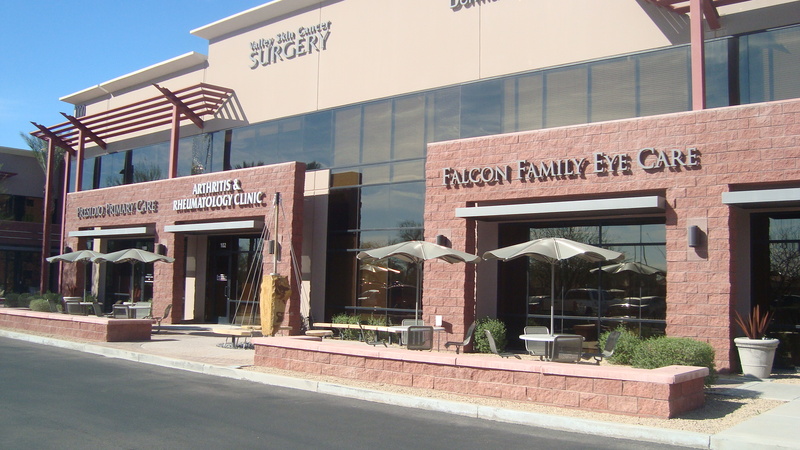 This is a recent example of strong investor demand for East Valley properties, specifically medical use real estate. Wurth represented the seller of the suite, SDBP III, Rick Richmond, in the transaction. Nishel Badiani of Kirans & Associates Realty represented the buyer, NM Alpha, LLC. The Presidio is a well-known and established development, located at 1100 S. Dobson Rd. The buyer purchased a suite, which is occupied by an established medical practice. The Presidio is a three-building project situated on 11.5 acres with approximately 86,000 square feet of medical office space. The Presidio Phase II is slated for development in the coming year, and when complete will offer 48,000 square feet of medical and professional office space. Phase II tenants will enjoy close proximity to Dignity Health Chandler Regional Medical Center and prominent freeway signage fronting Loop 202.